This is my first time working with the cat rig for making poses. 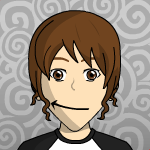 I have made human sim poses with no trouble so far. 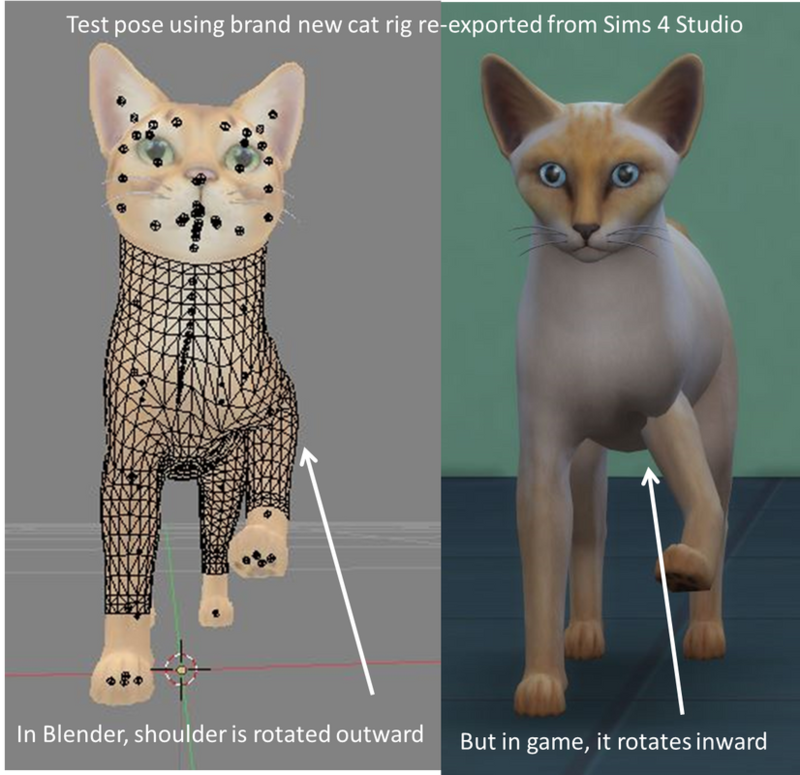 With the cat, however, when I imported the pose package into the game and tried it out, the left front shoulder appears to rotate the cat's "elbow" in the opposite direction that it is supposed to be rotated in the pose. It looks correct in Blender. It is only messed up in game. 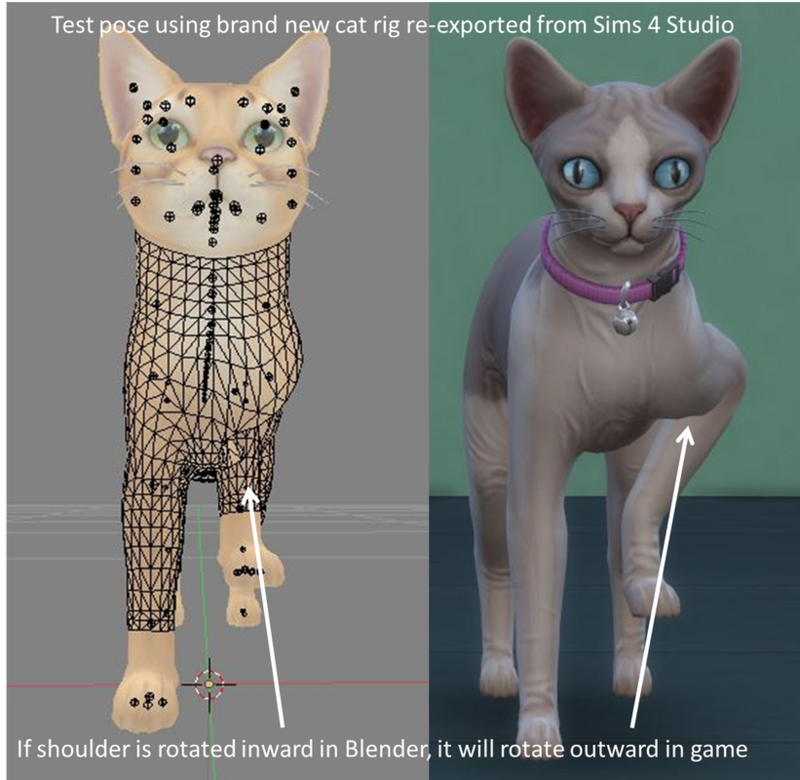 To test it, I started over from scratch with a band new cat rig re-exported from Sims 4 Studio, and made two simple poses, one with the shoulder rotating outwards and one with the shoulder rotating inwards. In game, the the rotation of the left shoulder is consistently opposite the rotation it shows in Blender. Only the elbow is affected. The lower part of the leg tries to go the direction it is supposed to, based on the shoulder's rotation in Blender, causing a weird kink in the leg. I would be happy to provide the package file, but I can't figure out how to attach it here. This is my first time trying to post anything besides "hello" on this forum, and I'm not a very forum-savvy person to begin with. If someone can give me instructions to attach it, I will do so. Most likely you need to rotate shoulder bone if you want to move the leg further from body. If you rotated elbow bone game won't read it correctly even if on Blender it looked right. Game has own rules of reading the files. Also, if you want to share your .blend, upload it to onedrive or dropbox. There is no option to attach it to the message, otherwise cost of the traffic for the forum would be crazy. Thanks for responding. I think I should have been more careful to use the correct bone names. I am rotating the bone called "bone_left_upperarm" (which is the in the shoulder of the cat). 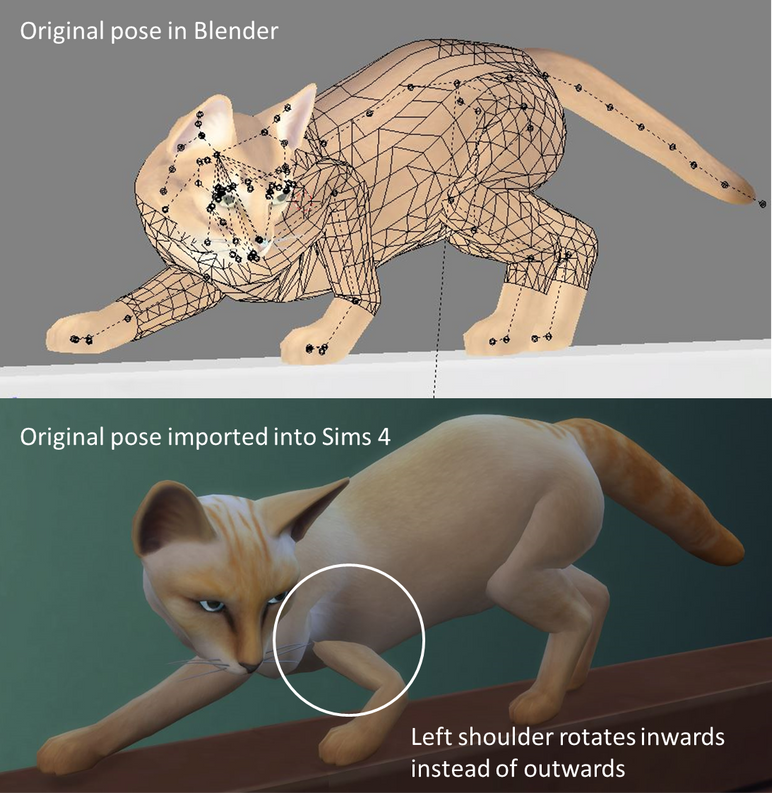 Doing this causes the bone called "bone_left_forearm" (the elbow of the cat) to move the opposite direction that it should when the pose it played in the game. It also affects does the same thing on the right leg, as it turns out. My husband,who is a hobby programmer and modeler, has been investigating it for me. Originally he was totally stumped and wanted to see if anyone here had any ideas, which is why I posted. He now has found the following: The IK pole target for the front leg is for some reason attached to the spine instead of a bone on the leg. So when the leg is rotated (via the upperarm bone) the forearm bone tries to point at the IK pole target, which in effect makes it rotate away from where it's supposed to be. He is working on a fix/workaround for this now. You need to remember that current rig is working properly with all EA's animations and in custom poses. There is no need in coming up with workaround. This rig works as expected when proper bones rotated.